Neev’s proprietary smart city lighting solution (Intellivolt), furthers the energy efficiency, over a standard LED street light. 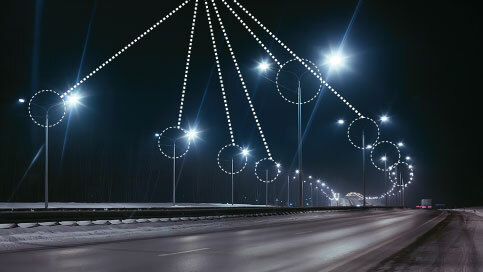 The intelligent street lighting systems allow optimal use of street lights which can be customised to save more energy. The usage can be managed as per time of the day, peak or regular traffic conditions and even parameters such as the change in weather and ambient lighting condition. The quality of lighting remains far superior, lending cities benefits of not just being aesthetically pleasing but safer as well. Neev’s smart network helps improve traffic mobility and provides insights which aid strategic planning of the city for smoother traffic. The system of radars / sensors / CCTVs can monitor traffic and relay information to commuters to re-route or to the authorities to direct location specific action. Better planning of the city to ease congestion becomes simpler with the data gathered via Neev’s technology. The solution also enables an efficient traffic enforcement system wherein violations can be detected and automated ticketing can be devised for the offenders identified. A smarter traffic management and enforcement system backed by Neev’s ubiquitous network ensures safer roads, and a convenient commute – one of the most essential smart city initiatives. 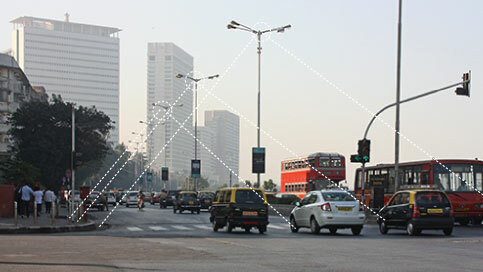 Neev’s network, equipped with unique sensors can monitor environmental pollution and aid targeted action plan. 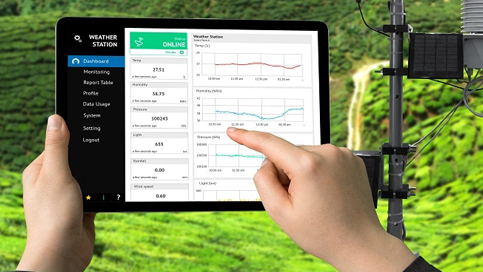 The smart sensors can accumulate critical information on the level of pollutants in the air and relay this data to authorities who can further initiate a location specific response to address the issue. This critical technology, entirely backed by the smart network, lends to a cleaner air and minimizes negative impact on the environment without the need of any additional structural intervention. Neev’s network of smart sensors and other devices, can help minimize parking inconveniences by identifying available street parking and directing commuters to the nearest vacant spots. It can also manage existing parking spaces and ensure smooth traffic by providing information on precise parking spots and their availability. 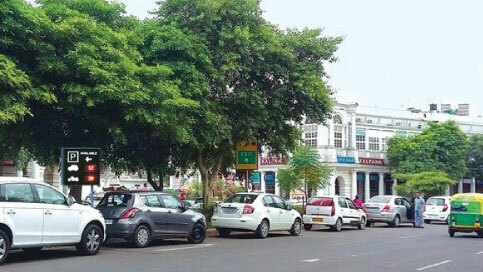 The smart city parking solutions by Neev can identify high demand in specific locations which will further help the authorities in the development of organized parking spaces. 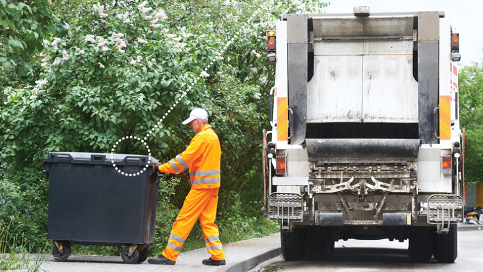 Efficient management of waste becomes easier as Neev’s intelligent sensors can notify the level of waste, which alerts the relevant authorities to take action. Timely cleaning of the waste bins across the city sets the much needed momentum for cleaner cities and makes managing the waste and ensuring sanitation more streamlined. 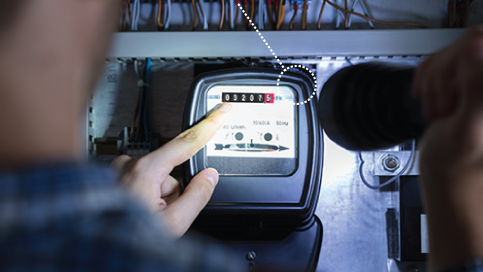 Neev’s network can be used to transmit relevant data on energy consumption to utilities, via radio frequencies .The automated technology not just diminishes the possibility of human error, but also monitors consumption of energy, water and other utilities to facilitate utility companies to provide optimum solutions and enhance efficiency.